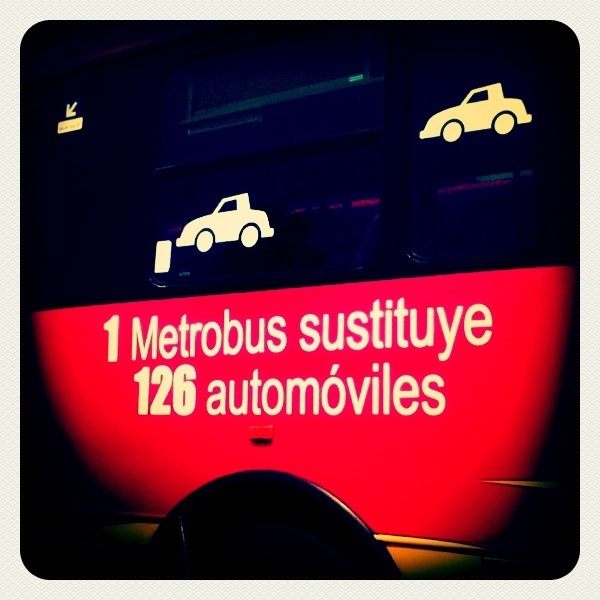 1 Metrobus replaces 126 automobiles. Photo by Mariana Gil / EMBARQ Brazil. A version of this post was originally published on TheCityFix Brasil by Maria Fernanda Cavalcanti on May 1, 2012. Metrobus vehicles display marketing messages in support of public transport. Photo by Mariana Gil / EMBARQ Brazil. This is an example of simple and honest marketing that makes people stop and think about the real need to forgo private cars, which lead to unnecessary congestion, and opt for mass transit, instead. Branding and marketing campaigns like this seem to be a good way to start this debate. What do you think? 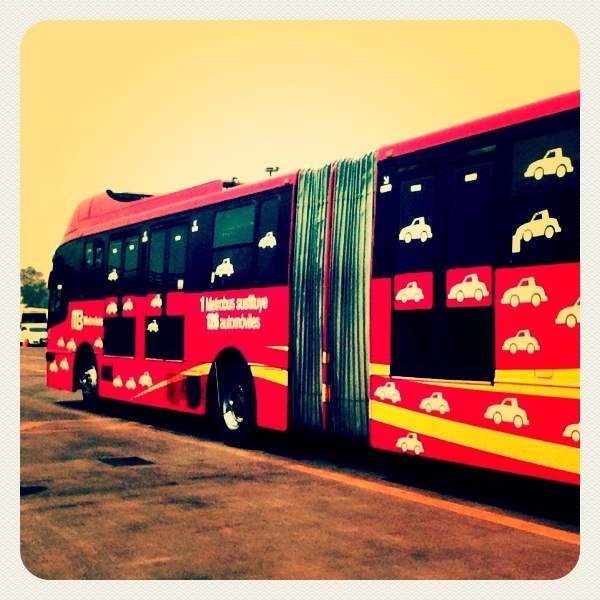 The team enjoyed the BRT experience. Check out our group photo, below! 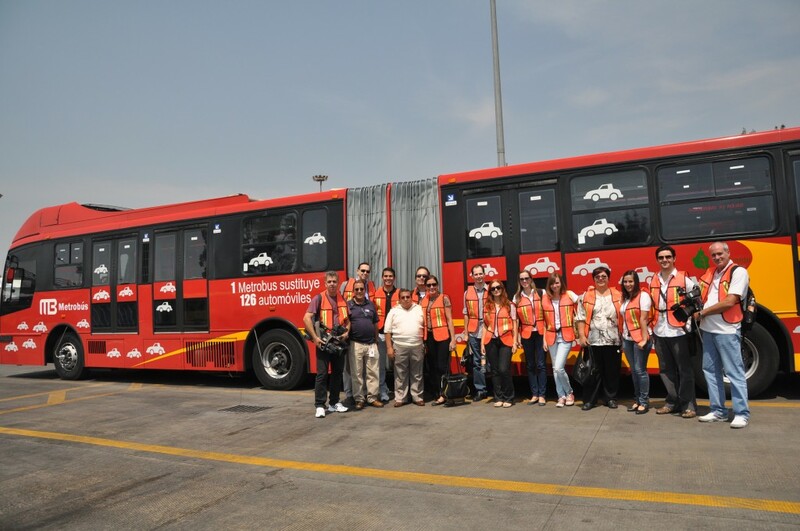 The study tour group visited one of the Metrobus maintenance centers. Photo by Mariana Gil / EMBARQ Brazil.